Saying "I know a bunch of lawyers" isn't an answer. Nor is it what I said. Misrepresenting people who disagree with you is a pretty weak cop out. Bieber won't face felony charges. Right. Because you say so. Others disagree. 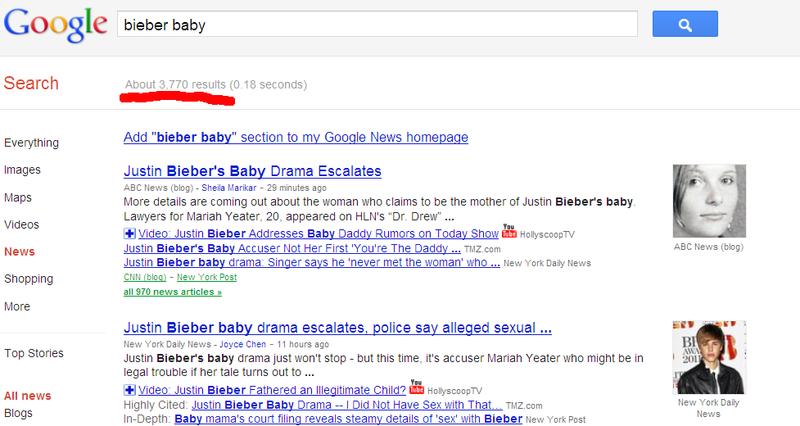 Well, no one disagrees that Bieber himself won't -- because he's too big. But, as others have pointed out, some of us worry about the next Bieber. I didn't mock anyone. I didn't position myself as final arbiter. I offered my opinion, and I'm sorry your feelings were hurt by that. 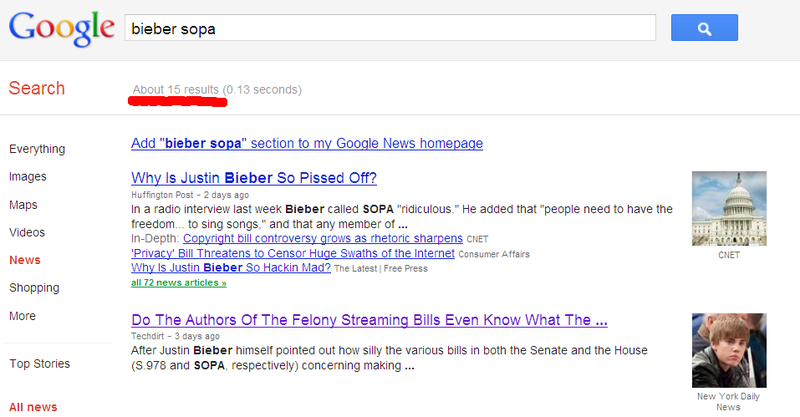 An opinion is "based on these reasons, I don't believe SOPA will impact Bieber." Positioning yourself as the final arbiter is making a statement of fact, as you did with: "Mike, Justin Bieber isn't going to jail." And, trust me, my feelings are not hurt by that. I just think you look foolish. I know, freedom of speech and constitutional rights, who needs them, right? Sorry, I think these are important. I'll keep hammering on them, come hell or high water. WTF, Terry? Who said anything about free speech or constitutional rights? My point was that you do so in the most misleading of manners, and yet you act as if you are presenting objective information. Your willingness to strip context from the quotes, ignore that many of the predictions were actually accurate is really quite ridiculous to many of us who have watched how the expansion of copyright has done so much harm. Ha ha ha! Thanks big brother. I must have missed the rules you laid down. I don't see them in the FAQ either. Is this a bootable offense? Cause I always thought 'crassness' was something the crowd would take care of. Just letting you know how people feel. Thought you might want to know. I'm sorry your feelings were hurt by that. Again, Terry, nothing you could do would ever hurt my feelings.